U.S. Cellular on Wednesday announced its latest 4G LTE-capable smartphone, the Galaxy Metrix 4G. The device packs a slide-out QWERTY keyboard, a 1GHz processor, a 4-inch touchscreen display, a 5-megapixel camera and a front-facing camera for video chat. It’s not a phone we’d call home about, but the pricing is right. It costs $179 after a $100 mail-in rebate but you can grab it for just $129 after a $100 mail-in rebate if you live in an area covered by U.S. Cellular’s 4G LTE network. U.S. Cellular’s network currently covers 31 percent of its customers and is available in Iowa, Maine, North Carolina, Oklahoma, Texas and Wisconsin, so a majority of customers will want to hold out for this device until they can take advantage of its speed. The carrier said it will expand its LTE network into Illinois, Maryland, Missouri, New Hampshire, Oregon, Tennessee, Vermont, Virginia, Washington and West Virginia later this year and that, by the end of 2012, it will cover 58 percent of its customers. CHICAGO (August 22, 2012) – U.S. Cellular (NYSE: USM) and Samsung Telecommunications America, LLC (Samsung Mobile), have announced that the Samsung® Galaxy Metrix™ 4G is available online today at uscellular.com and will be available in stores on Friday, August 24. The Android™ powered smartphone runs on the 4G LTE™ network, with speeds up to 10 times faster than 3G. The Galaxy Metrix 4G sells for $179.00 after a $100 mail-in rebate and $129.00 after a $100 mail-in rebate in markets where 4G LTE service is currently active and will be available by the end of 2012. Visit uscellular.com for detailed pricing. The Galaxy Metrix 4G has a slide-out QWERTY keyboard to get your message out quickly and a front-facing camera for easy video chatting. The 4.0-inch touchscreen allows you to clearly view movies and video games and use the Internet on-the-go. You also have access to Google Play™, a one-stop shop for Android users to access nearly half a million apps, millions of songs and books, and thousands of movies. The Galaxy Metrix 4G will be available to all U.S. Cellular customers and will run on the 4G LTE network in markets where it is available and on U.S. Cellular’s nationwide 3G network in all other areas. U.S. Cellular customers enjoy unique benefits, such as new devices faster without resigning contracts, free Overage Protection and free Battery Swap. U.S. Cellular also offers customers the only points-based rewards program in the industry, which rewards customers for simple things, such as paying bills on-time, adding a line or referring friends and family. Points may be used for faster phone upgrades, additional lines, devices, accessories and ringtones. U.S. Cellular, in partnership with King Street Wireless, currently offers 4G LTE service covering 31 percent of their customers in select cities in Iowa, Maine, North Carolina, Oklahoma, Texas and Wisconsin. Later this year, 4G LTE coverage will expand to cover select cities in Illinois, Maryland, Missouri, New Hampshire, Oregon, Tennessee, Vermont, Virginia, Washington and West Virginia. By the end of 2012, 58 percent of U.S. Cellular customers will enjoy faster 4G LTE speeds. For more information about the 4G LTE experience, visit uscellular.com/4G. 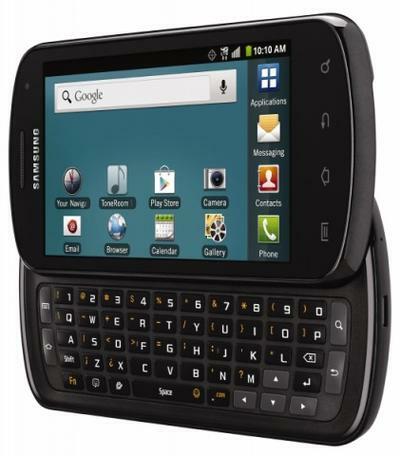 The Galaxy Metrix 4G will be available for $179.00 after a $100 mail-in rebate. It will be available for $129.00 after a $100 mail-in rebate in markets where 4G service is available today or will be available by the end of 2012. Visit uscellular.com for detailed pricing. Purchase of a data plan is required and a new two-year agreement and activation fee may apply for new customers. Additional terms, conditions and/or charges may apply. Samsung, Galaxy and Metrix are trademarks of Samsung Electronics Co., Ltd. Other company names, product names and marks mentioned herein are the property of their respective owners and may be trademarks or registered trademarks. 4G used in connection with the Samsung Galaxy Metrix refers to the fact that it is capable of operating on U.S. Cellular’s 4G network.